1What are the benefits of massage therapy? Massage therapy promotes relaxation and relieves stress held in body tissues. It improves range of motion, strengthens the immune system by improving the flow of blood, and lifts the sense of well-being. The therapist employs specific techniques to produce the desired outcome that is determined during an initial consultation. 2When should I request a therapeutic massage? A therapeutic massage is used to target specific areas or muscles of the body that require extra attention. For example, if you woke up with a stiff neck, a therapeutic massage would focus more time on loosening the muscles that tightened during the night and less time on everything else. 3Will you include abdominal massage in my session? Yes! Unless you request that we skip them, we like to include abdominal muscles because they are directly connected to the back muscles. To be clear, a full body massage includes: head, face, neck, back, shoulders, arms, legs, hands, feet, abdomen and buttocks. 4Can I leave my clothes on for a massage? Even though some therapeutic techniques are best done with friction through a sheet, a massage is best received with skin contact. However, we want every client to fully relax and if that means leaving some clothes on for your massage, then please do so. We can still work a muscle through clothing and will never work an area without permission. A client and therapist’s modesty are always considered. Draping is mandatory. That means the areas not being worked will remain covered. Yes. To maintain the client and the therapist’s modesty, draping is mandatory. The area of the body being worked will be undraped and re-draped as the massage progresses. 6Will my therapist be licensed? Yes, this is a licensed facility that employs licensed therapists to provide licensed services. 7What can I expect from an aromatherapy massage? An aromatherapy massage with essential oils is meant for short-term therapeutic use. You will complete a lengthy questionnaire and the therapist will then prepare an oil blend specific to your needs and wants. This usually involves a separate consultation for testing the oils to ensure there is no reaction with your skin. The therapist will then perform the massage using your blend. The remainder of the batch will go home with you for use during the therapeutic period. 8Can I receive services at Sacred Pathways Sarasota in lieu of seeing my doctor or mental health professional? 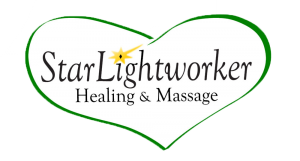 Massage, Reiki, and Energy Healing sessions are not meant to replace any therapy provided by another licensed health care professional. They are a great adjunct to other therapies but should never replace them. 9What is Reiki good for? Reiki can be used for just about anything and the scientific evidence is growing that Reiki is effective in the areas of relaxation, reducing stress, lessening pain, improving moods, and moderating blood pressure. 10How is a massage with Reiki added different than a regular massage? A Reiki massage incorporates the flow of life-force energy into the relaxation massage. Reiki is applied through the hands of the therapist as he or she intuitively spends extra time at certain areas of the body while intentionally wrapping the entire body in a cocoon of Reiki healing energy. This energy may promote the body’s self-healing ability. 11What is a Reiki session like? Reiki is given while a client lies on a massage table fully clothed. The therapist places their hands directly on or slightly above the body to facilitate the flow of energy targeting areas of blocked flow. Feedback is provided after the session.